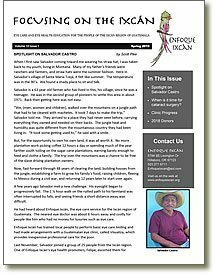 While we will continue to publish and mail newsletters to our supporters, we want to send out more frequent, timely updates as well. If you’d like to keep up with the latest stories about our organization, please consider joining our E-Newsletter Mailing List.The information is delivered directly to your email inbox, and because it is managed by VerticalResponse you know it’s safe to open and you can “opt out” at any time. 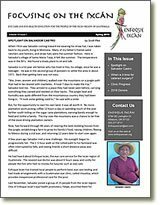 Click on the links below to open a .pdf copy of our newsletter. Do you need a copy of Adobe Reader? CLICK HERE to select and download the free program for the Adobe website.